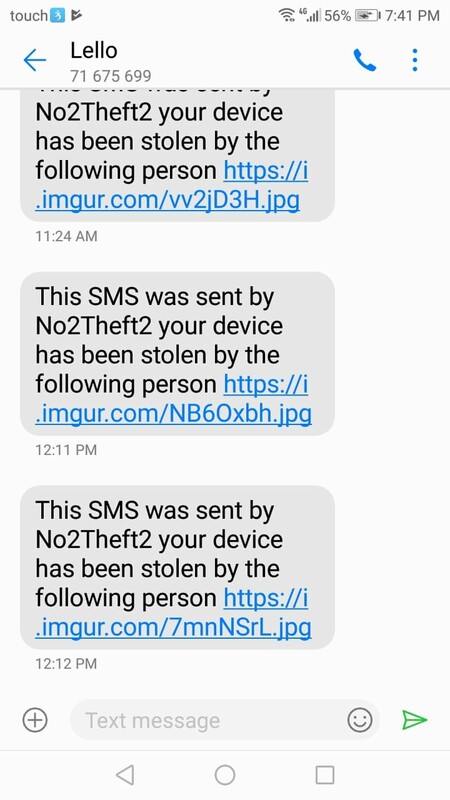 No2Theft2 the successor of No2Theft for 1.5$. 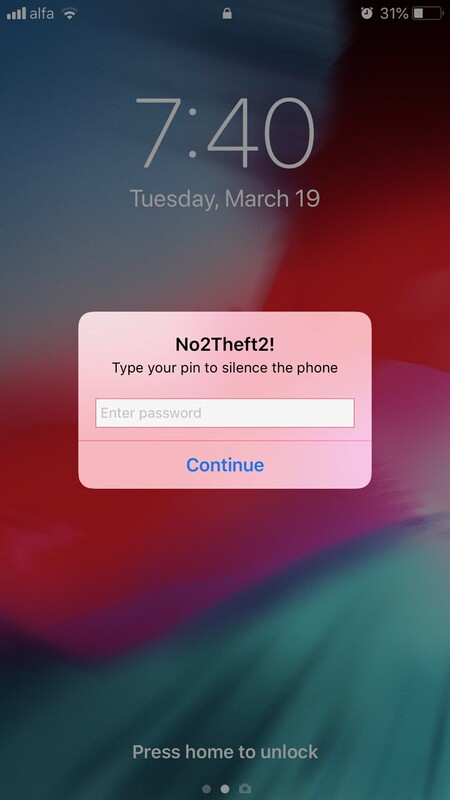 The main concept behind that tweak was protecting your phone in public places and from annoying friends / coworkers that are trying to access the phone. Let's say you're having dinner in a restaurant and you have your phone charging on the bar someone comes by and snatches that phone and tries to run what could happen ? An alarm will fire that cannot be turned down , a picture of the thief will be taken and will be sent to any of two sms numbers you specify that photo will be uploaded to imgur and attached to the sms message. Lockscreen ! 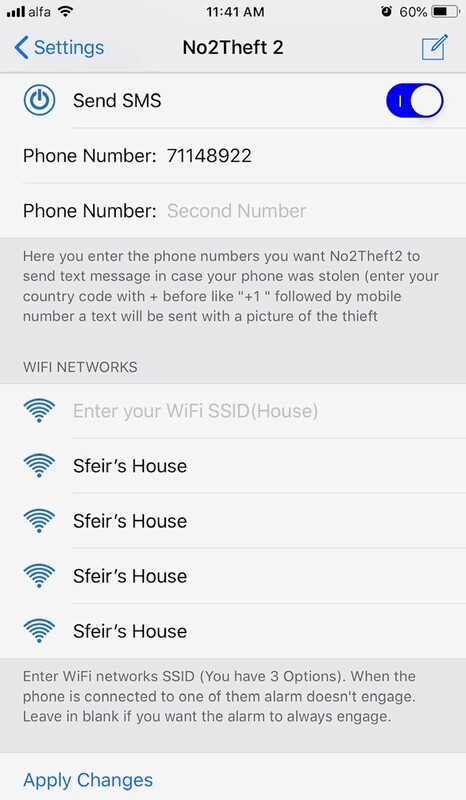 if you have annoying family members, friends, coworkers that like to peek with your phone , you can specify how many times you are allowed to input the password before firing that alarm , taking pic of that annoying person , saved to camera roll and sent as sms. If you are connected to a safe wifi network (you specify in settings not alarm will fire) you can disable that feature if you like. 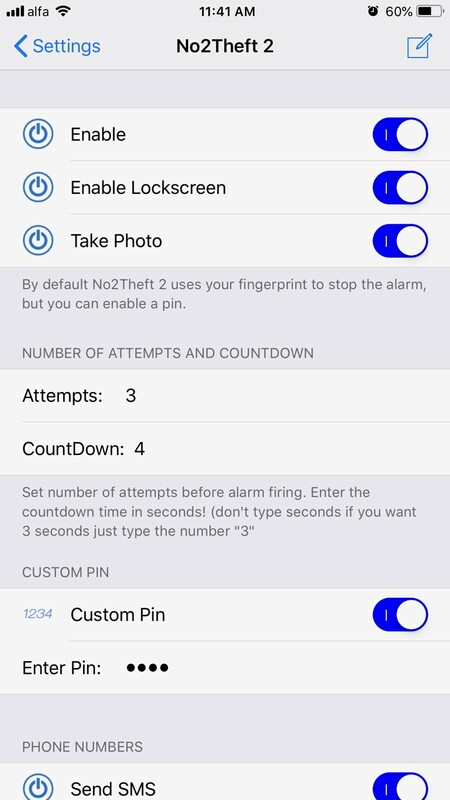 You can put a countdown so it won't fire if you're using the device you specify the time in seconds before the alarm goes off in that time you can input your fingerprint or password to avoid having the alarm goes off. When the alarm is on you can't turn off the device nor lower the sound.